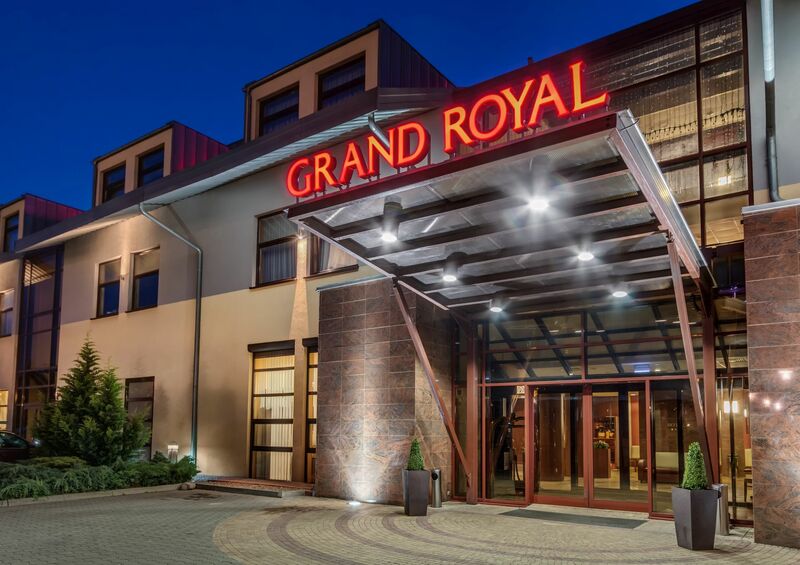 Grand Royal Hotel is a perfect venue for a comfortable stay as well as business meetings, conferences and trainings. 5.5 kilometers from the Poznań International Fair and the Poznań Główny railway station. The hotel offers 61 modern Classic rooms (single or double) and 5 suites, including luxurious Presidential Suite. Rooms in Grand Royal Hotel are spacious and air-conditioned. Each of them provides wireless Internet access, mini bar, coffee making facility, satellite LCD television, bathrobes and a hairdryer. During their stay, hotel guests can enjoy the Wellness zone of the SPA Center comprising a swimming pool, sauna, jacuzzi and a large gym for free. Unique atmosphere of the hotel is ensured by: an aquarium with freshwater fish and a capacity of 9000 liters and 90" TVs installed in the Winter Garden and the Lounge Bar where you can enjoy a cup of aromatic coffee. Finezja Restaurant offers dishes of both Polish and international cuisine, providing guests with a variety of tastes owing to carefully selected recipes. Additionally, Grand Royal Hotel has a range of conference and banquet facilities. We offer 3 multifunctional rooms with modern conference equipment. Rooms with a total area of over 240 square meters are located on the ground floor and give room for flexible arrangement solutions. Our guests are also provided with free-of-charge access to Spa & Wellness Center with an indoor swimming pool and a well-equipped gym. 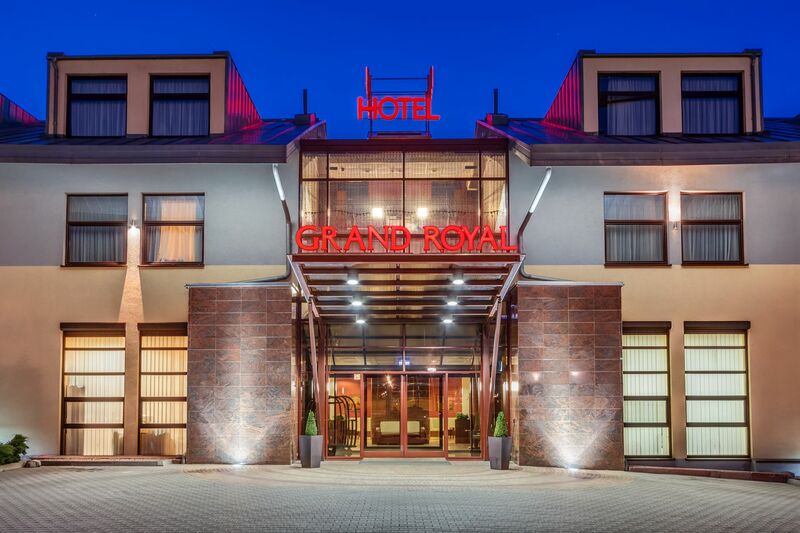 The Grand Royal Hotel is the perfect place for those who appreciate high-quality services and cordial and friendly atmosphere. Very nice hotel in a great location - close to a highway exit but far enough from the noise made by cars. Rooms are clean and spacious. Delicious breakfasts. Staff is very helpful and competent. I recommend the hotel both for families with children and for business trips. It is nice that there still are so welcoming hotels.